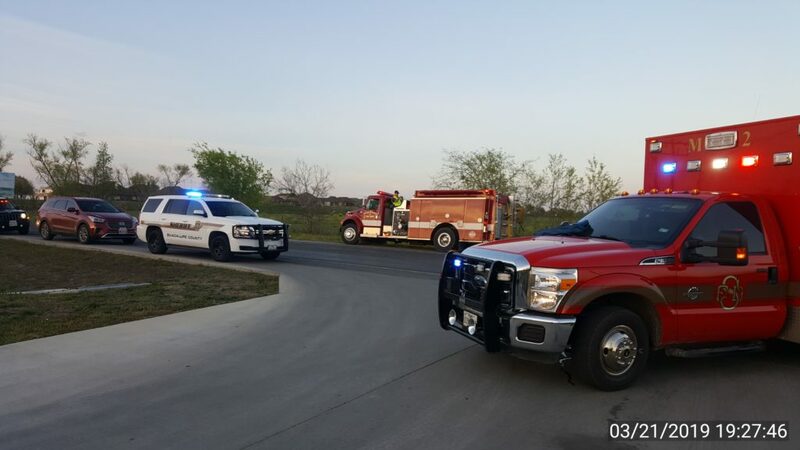 At 7:10pm on 4/9/19 the McQueeney Volunteer Fire Department was dispatched for a motor vehicle accident with injuries in front of the Pic-N-Pac at FM725 @ FM78. 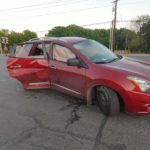 Initial reports included the information that one vehicle had rolled over and there was one adult and two small children in that vehicle. 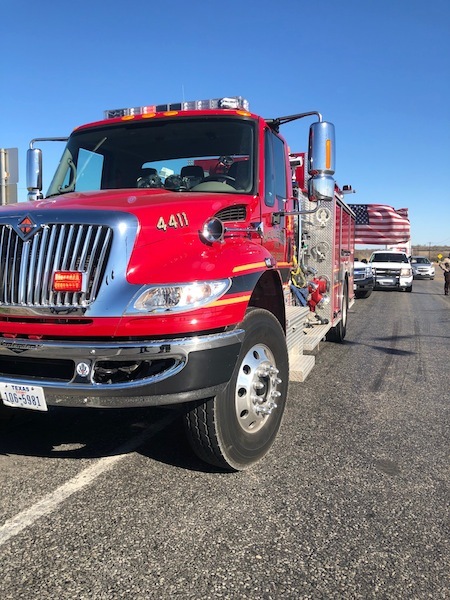 Seven firefighters responded with a rescue truck and command unit. 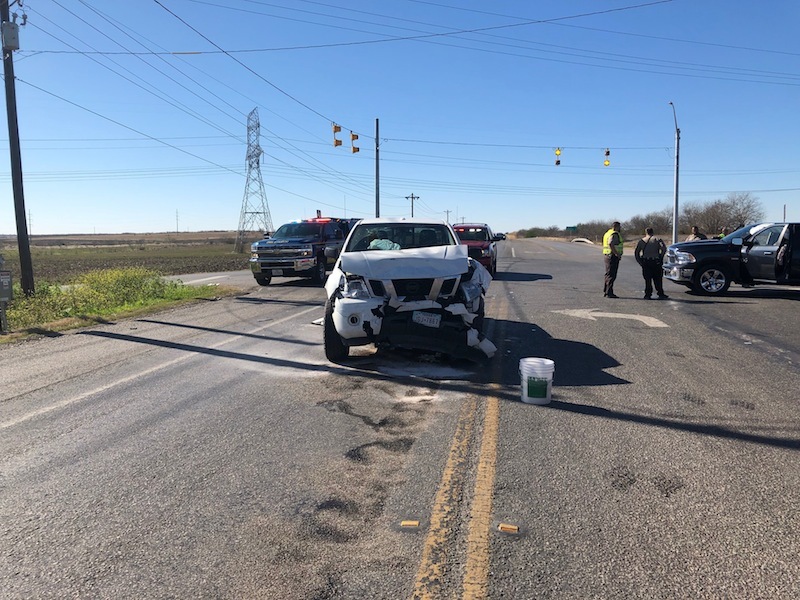 Upon arrival we found a 2 vehicle accident with both westbound lanes of FM78 and one eastbound lane of FM 78 obstructed. 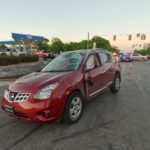 All of the victims were out of the vehicles upon our arrival and none of them appeared to be injured. 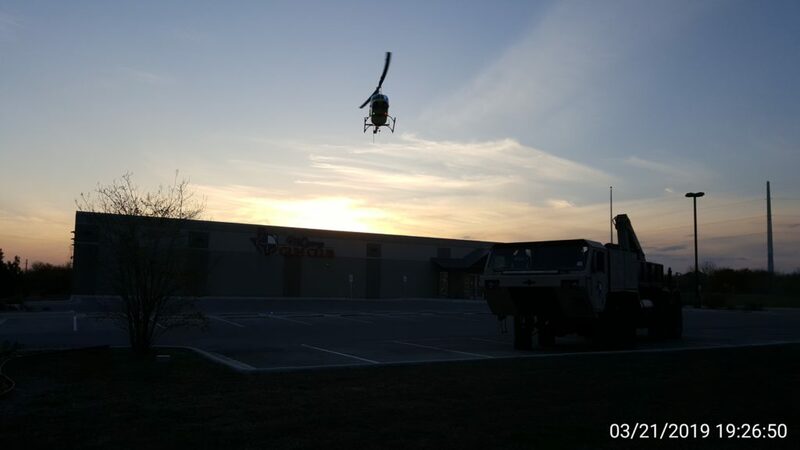 Seguin EMS and McQueeney EMTs evaluated the patients and all signed refusals, there were no patient transports. 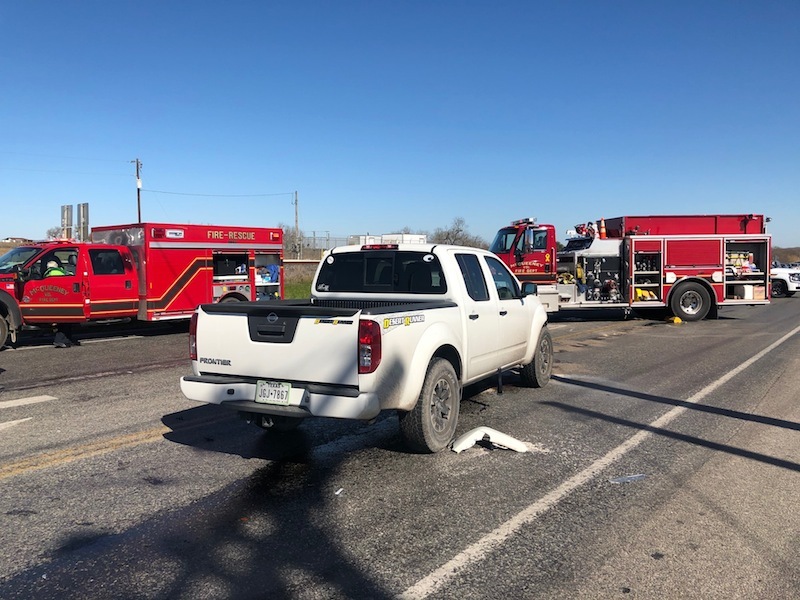 M eeney VFD assisted with traffic control and hazard mitigation of an oil spill from one of the vehicles and we remained on scene until both vehicles were towed and all debris was removed from the roadway. 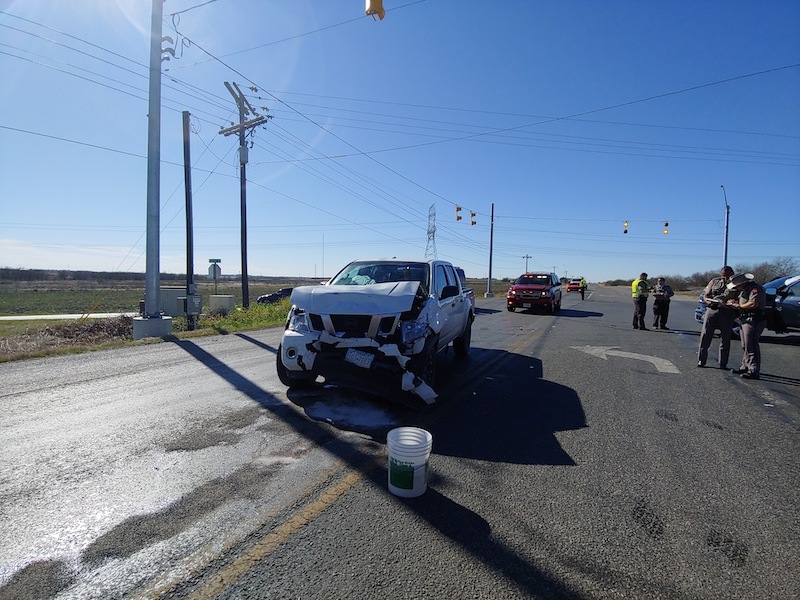 Guadalupe County Constable PCT4, GCSO and TXDPS units reopened the roadway once wreckers had picked up the vehicles and cleared the roadway. Our total time on scene was approximately 1 hour. 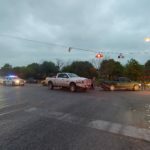 Three McQueeney VFD firefighters and one rescue truck were dispatched at 6:45 a.m. Thursday for a 3 vehicle major multivehicle accident at the intersection of F.M. 78 and F.M. 725. Firefighters found the intersection blocked and evaluated 5 occupants for injury. 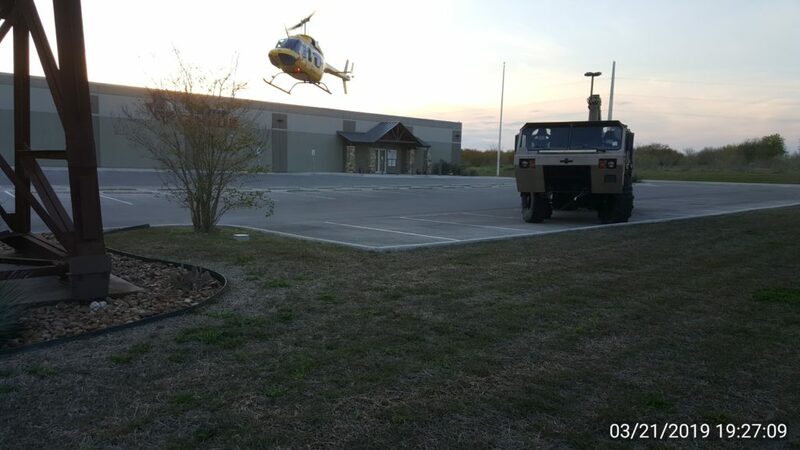 One of the five occupants was transported by Seguin EMS to GRMC in Seguin. The others suffered only minor injuries. 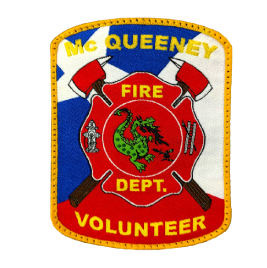 The roadway was reopened at about 7:30 a.m.
On Thursday, March 21st, the McQueeney Volunteer Fire Department received a call at 6:54 p.m. and responded to a multivehicle accident in front of the McQueeney Gun Club on F.M. 725. One engine, one rescue truck, one command vehicle and 6 firefighters responded to the call. 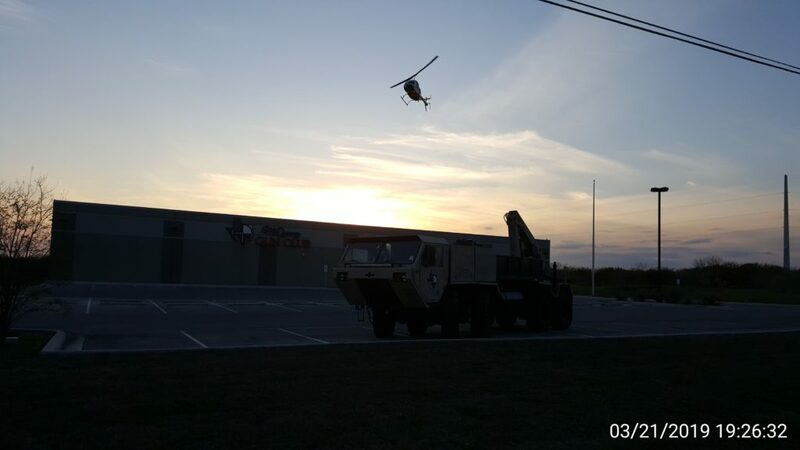 The driver of the vehicle depicted in the photograph below was airlifted to University Hospital in San Antonio. The other driver declined treatment. 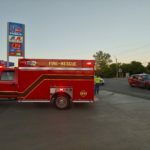 The department also remediated a fuel spill from the second vehicle. The scene was cleared by 7:52. Volunteers prepare mailings for upcoming fundraiser. Funds collected are used to purchase and maintain equipment and train our firefighters. When your request arrives, please donate generously to help us protect our community. The 12th Annual Recognition Banquet was held on January 30th at the Faith Lutheran Church in Seguin. Various awards were given, and Erik Johnson was recognized for having made the most responses during 2018. A delicious meal was catered by Caterall of New Braunfels. 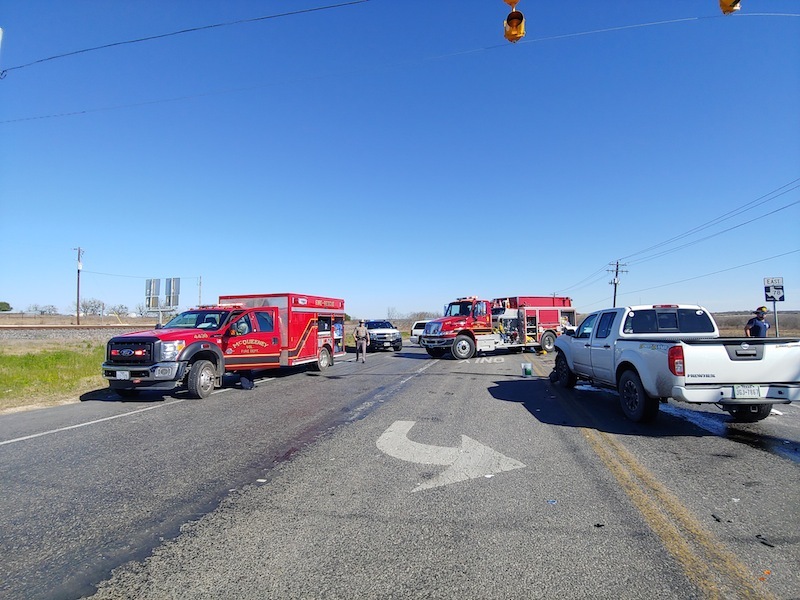 The McQueeney Volunteer Fire Department was dispatched at 12:30 p.m. on 12/23/18 for a major 2 vehicle collision at the intersection of FM78 and FM1044 with possible entrapment. Firefighters responded with an engine and rescue truck and 2 POV units. 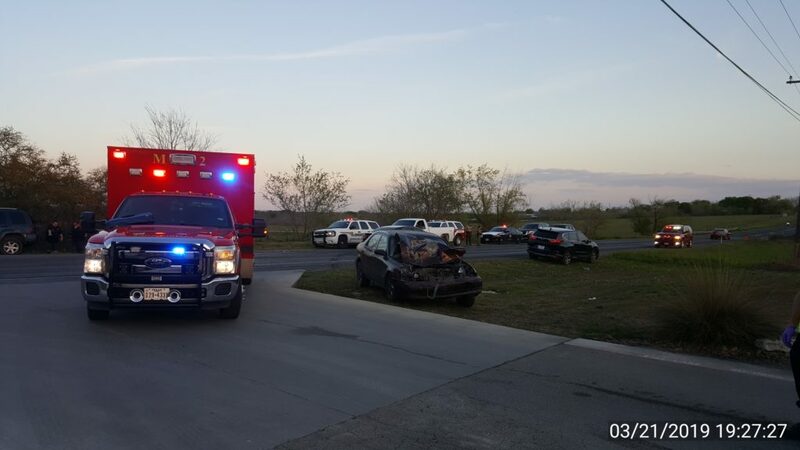 They arrived to find both lanes of FM 78 blocked due to a T-bone accident. No victims were found to be entrapped. 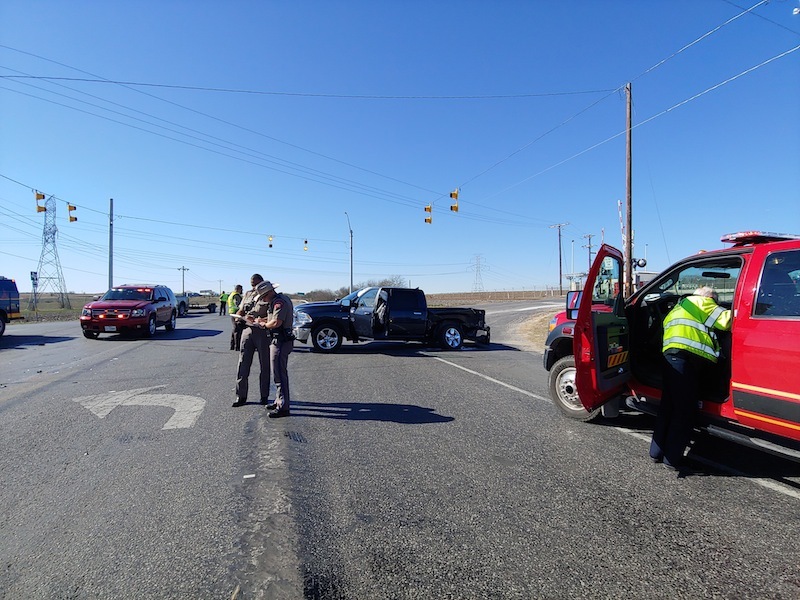 Patient care and assessment were begun with assistance from Schertz EMS and law enforcement from Guadalupe County and TXDPS. 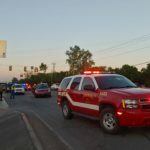 Traffic was diverted via 1044 and Pioneer Road. 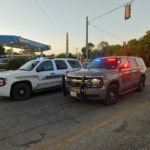 Two ambulances were used to transport victims. 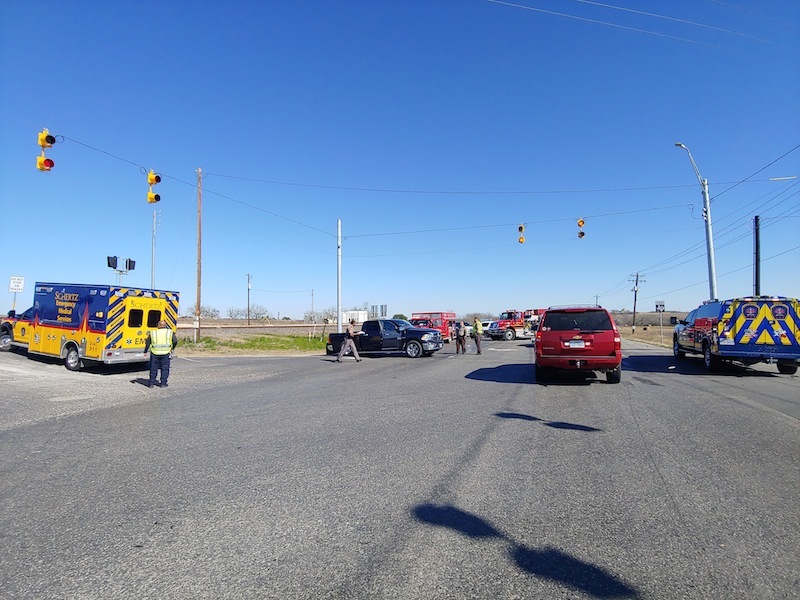 While working this accident, a medical call was received, and two McQueeney firefighters left to respond with the rescue truck. The roadway was reopened at 1:45 p.m.
Jeff Bonkoski of Hazard Control Technologies, Inc. presented training of area firefighters on the benefits and uses of F-500, an encapsulating agent that can be effectively used on Class A, Class B and Class D fires as well as lithium battery fires and magnesium fires. It also can be used to encapsulate fuel spills, rendering them nonflammable. He later demonstrated the encapsulation feature of the product by creating a water/gasoline /F-500 emulsion, then trying unsuccessfully to light it with a blow torch.